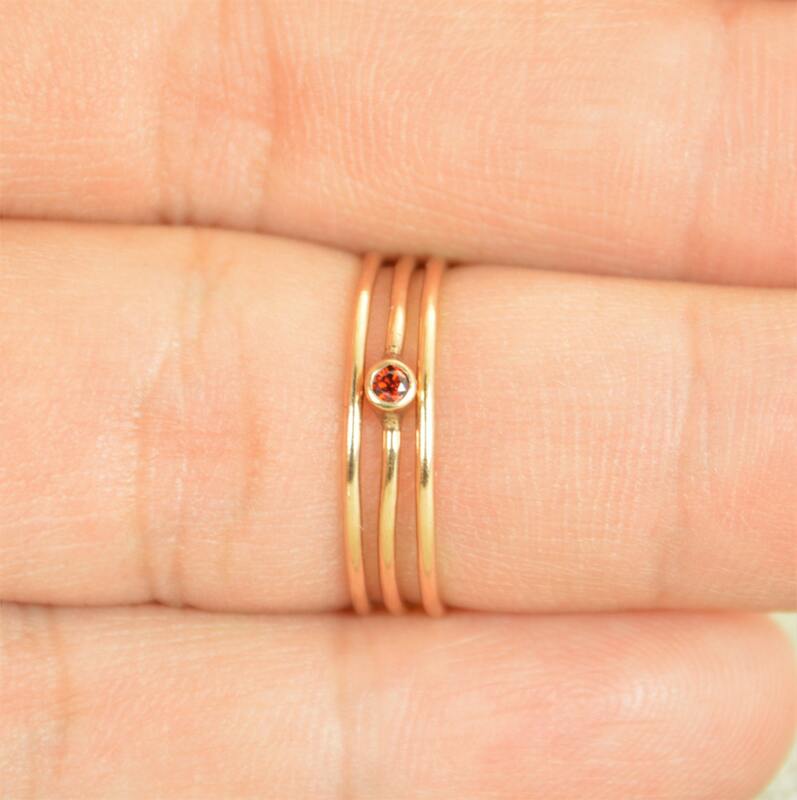 I bought this garnet ring, a gold spiral ring and three gold hammered rings to create a stacking ring set as a gift for our daughter on her 25th birthday. She was more than thrilled! The gift arrived promptly, was beautifully wrapped and had a handwritten note inside with our birthday message. 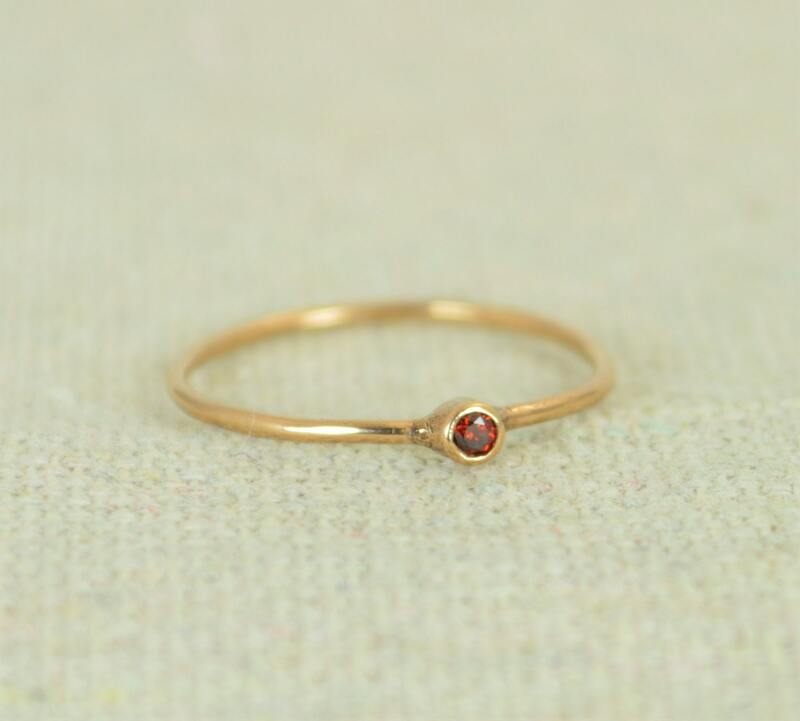 beautiful and delicate. just what i wanted. arrived quickly. 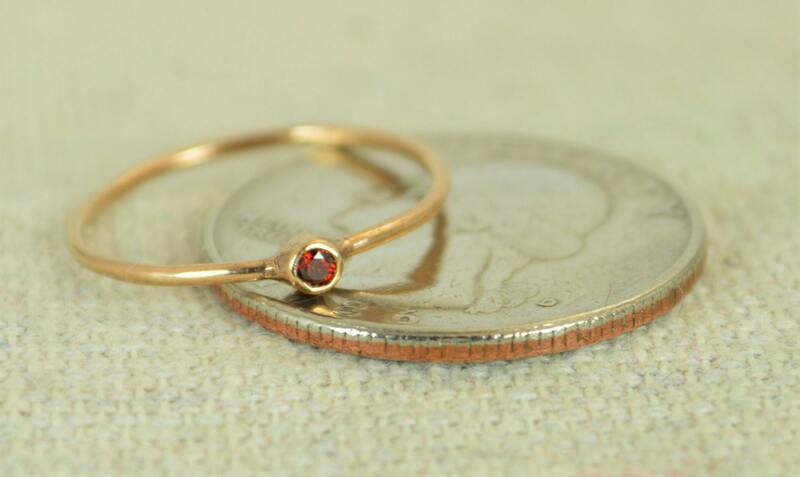 Beautiful garnet stacking ring! Great communication with the artist and super fast delivery!